Mash 2 or 3 gooseberries and mix with one teaspoon of fresh yoghurt and a spoon of honey. Leave it on your face for 20 minutes before washing off. You can also make it with gooseberry and tamarind. Use this pack every day for a month to get rid of dark spots and blemishes. Mix 2 teaspoons of gram flour, a pinch of turmeric, and rose water to make a paste. Leave it on your face for 15 minutes and wash off. This great for sensitive skin as it has anti-bacterial properties. Milk and honey keep your skin moisturized. Take around 3 or 4 marigolds or roses; separate the petals, and ad 2 teaspoons of milk and honey. Apply it on your face and let it stay for 20 minutes before washing off. This is a stress relieving mask, so apply once a week to look fresh. Take a teaspoon of sandalwood paste, and add some rose oil, gram flour and buttermilk. Apply it and let it stay for 20 minutes before washing off. This is the perfect mix to reduce tan. Mix together 2 teaspoons of aloe vera, a teaspoon of rose water and a spoon of lemon juice. Apply it each time you have been in the sun. Leave it for 15 minutes and wash off. After using, you could put some ice to close the pores. Lemon is a skin lightener and honey is a moisturizer. Your skin becomes squeaky clean after this pack is used. Mix 2 or 3 teaspoons of honey and fresh lemon juice. Apply it on your face after using a face scrub and leave for 10 minutes before washing off. Mint helps to remove acne and clear up marks. It makes your skin oil free. Grind some mint leaves and apply the juice on your face, concentrating on pimple prone areas. Let it stay for half an hour and then wash off. Mix either plain water or rose water with sandalwood paste and apply on your face. Let it stay for 15 minutes and wash off. Leaving it overnight is also an option. Sandalwood makes your skin soft and reduces fine lines. It is soothing and makes the skin lighter. 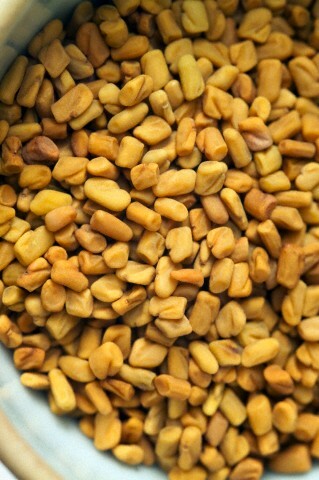 Fenugreek works well for oily skin by controlling sebaceous glands to produce less oil. Grind together powdered fenugreek seeds, a spoon of rose water and mint leaves to make a pack. Apply it on your face and let it stay for 15 minutes. Wash it off after that. Ayurveda works best for your skin as they contain no chemicals. They are not harsh like the synthetic cosmetics. These tips are sure to leave your skin healthy, clean and glowing. Fuller’s Earth makes your skin healthy and glowing, treats skin infections and soothes the skin. Mix Fuller’s Earth powder and rose water to make a thick paste. Apply this on your skin and leave it for 20 minutes before washing.